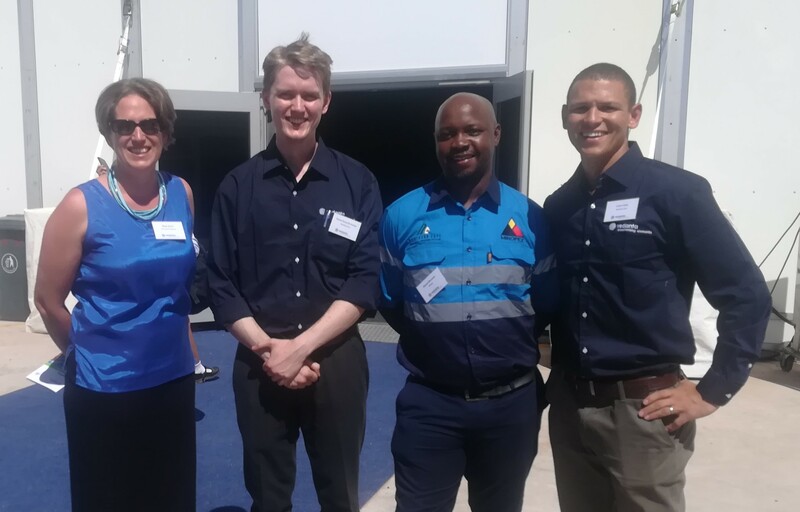 A/Prof Megan Becker was fortunate enough to attend the official Inauguration Ceremony of Vedanta Zinc International’s new Gamsberg Zinc Mine on 28th February 2019. President Cyril Ramaphosa was the official guest of honour at the ceremony, alongside several other dignitaries representing the State and Vedanta Zinc International. Megan had a chance to catch up with several CMR past and present CMR students who are currently working at the Gamsberg concentrator from left to right: Thomas Andrew, Mdu Mbonambi and Lucian Cloete.